South African resident taxpayers performing advisory or other technical services within South Africa to clients abroad, may be subject to foreign withholding taxes. To reduce the risk of this income being subjected to double taxation, it is necessary to consider the source of this income. South African courts have interpreted the concept of source in applying the Income Tax Act. Source in this context is not a legal concept, but rather something a reasonable man would regard as the real source of income. In establishing the source of income, our courts have not looked to the origin of the income, but rather have focused on the originating cause of the income. The originating cause is the quid pro quo given by the taxpayer to earn the income. In the case of service income, the source is usually the location from where the services are rendered. A double tax agreement (“DTA”) may contain a technical services clause. For example, DTAs concluded by South Africa with Swaziland, Botswana, Uganda and India contain such a clause. In terms of this clause, fees for technical services that are paid by a resident of a foreign country to a South African resident, are usually deemed to arise in the foreign country. Furthermore, this DTA clause permits the foreign country to impose a withholding tax of 10%. However, the provisions contained in these DTAs, usually conflicts with the South African common law view of source. The SARS interpretation – Interpretation Note No. 18 (issue 2) and its Draft Interpretation Note No. 18 (issue 3) – is that the DTA deemed source provisions overrides the South African common law view of source. Applying SARS’ interpretation, the source of technical services income is located in the payer’s resident country. Where a South African tax resident is liable for foreign taxes, relief in terms of a tax rebate or a tax deduction may be available. The extent or type of relief available depends on the source of the income. Where the source of the income is South Africa, the taxpayer may be entitled to a section 6quin rebate. To qualify for this rebate, an FTW01 form must be submitted to SARS within 60 days of the tax being withheld. Failing to comply with this requirement means that the taxpayer may only be entitled to claim the foreign taxes paid as a deduction in terms of section 6quat. A deduction for foreign taxes is less desirable, as for instance a corporate taxpayer in this position would only be entitled to reduce their South African income tax liability by up to 28% of the foreign tax paid. 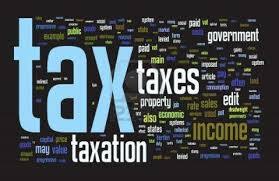 If the source of the income is foreign, the taxpayer may be entitled to a section 6quat rebate. No form needs to be submitted to SARS in order to claim this rebate. Therefore, South African taxpayers deriving technical services income from which foreign taxes are withheld must evaluate and conclude on the source of this income within a short space of time to ensure that double taxation is minimised. In determining the source of technical service income, a relevant DTA may need to be evaluated. Interpreting the provisions and implications of DTAs may not be straightforward and to avoid penalties and frustration, please contact us for assistance.